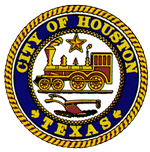 http://data.ohouston.org/ and http://data.houstontx.gov are not loading, please fix. It may just be me but the map seems to stop at 6/30/2016 and I cannot change the sliders dates. Open data portal is not accessible. Trying to demo for the lovely people here in Oman and cannot :-(. Hello, I would like to request all Houston Police Department Officer misconduct records for the year 2015 and any and all legacy data going back as far as 2008.